Digimon Adventure tri. Digimon Adventure tri. The above info came from fractyl2, and was edited by yours truly (contact me). The image came from デジタルモンスター ゼヴォリューション. 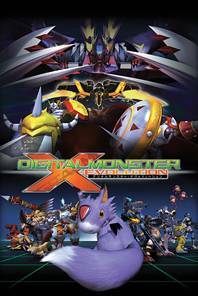 Digimon: X-Evolution is the 8th Digimon movie, but aired on Fuji TV toward the beginning of January, 2005. Unlike the other films, this one features only Digimon, not humans.